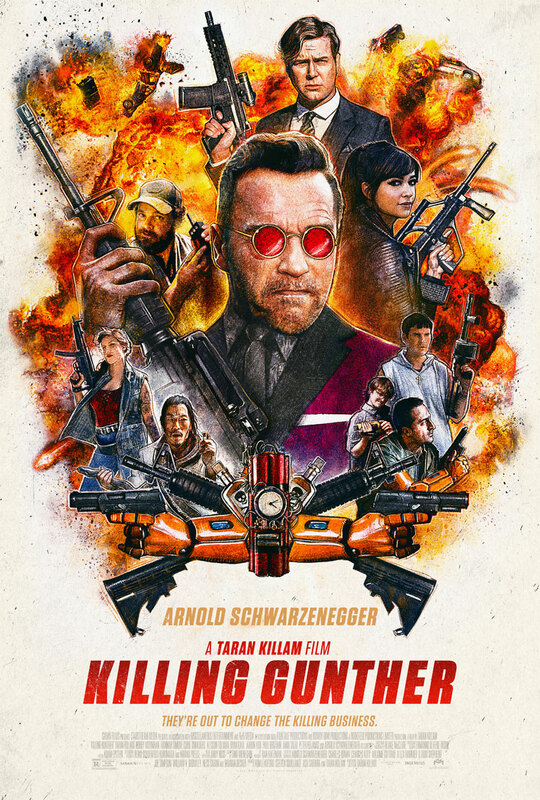 Trailer is now below for 'Killing Gunther' directed and staring Taran Killam the film also stars Arnold Schwarzenegger, Bobby Moynihan, Hannah Simone , Cobie Smulders, Paul Brittain , Amir Talai, Aaron Yoo, Ryan Gaul and Allison Tolman. 'Killing Gunther' is a documentary style comedy about Gunther (Schwarzenegger), the world’s greatest hitman. There are plenty of reasons to want to kill him: he’s arrogant, he’s a show-off, and he steals jobs. The assassin community is tired of it. Determined to retire Gunther for good, a group of eccentric killers from across the globe come together to set the perfect trap. But their master plan quickly turns into a series of embarrassing fails as Gunther always appears one step ahead. It will stream video on demand on September 22, 2017, before a limited theatrical release on October 20, 2017, by Saban Films.